Southwestern schools! Very cute 3 bedroom home, on large corner lot, close to village yet you have some space! The first floor has a living room with brick fireplace that opens into a bright and airy family room with good window lighting. You have a formal dining room with hardwood floors, and an eat in kitchen with back door leading to newer deck! Upstairs are 3 bedrooms, all with hardwood floors and a large bathroom with great ceramic tiled tub . 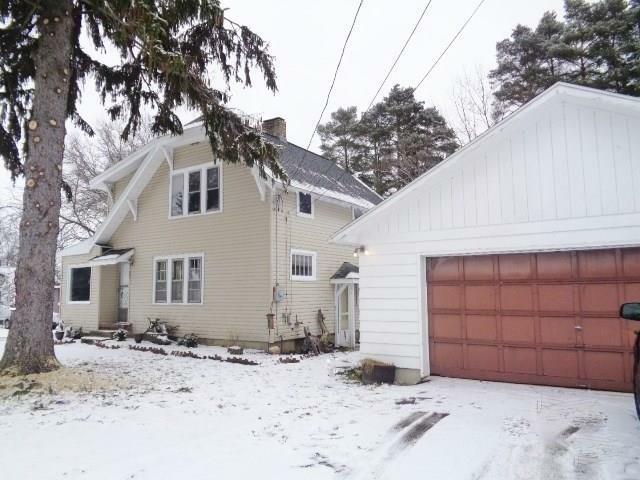 A 2 car detached garage offers space and the basement is under most most of the house and has the furnace(13 years old) and hot water tank(8 years old).Newer 200 amp electric panel. This home has charm and character and the location can't be beat!! Affordable!! Directions To Property: Fairmount Ave.(Rt 394) To Shadyside, Turn Onto Shadyside, Home On Your Left Not Too Far Down.